we are proud of our Siemens iQ 5 star status offering exclusive Siemens appliances and promotions. 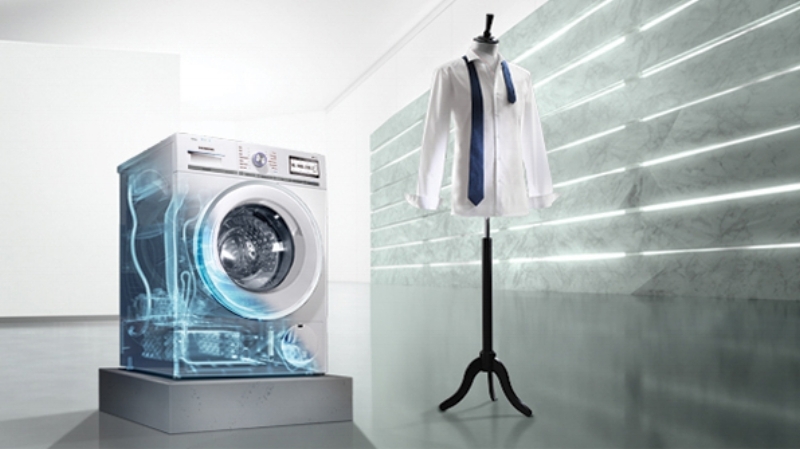 Siemens offer a range of different appliances to suit your lifestyle. Twice as fast in combination, an integrated microwave function with a conventional cooking option, speeding up preparation of your cooking, saving 50% of your time. Steam cooking is very low fat while retaining vitamins in the food. Ovens that clean themselves thoroughly with activeClean by heating up to very high temperatures. A hob that fits in with your lifestyle, flexInduction is no-compromise cooking at its best. Siemens flexInduction hobs are a must for diverse cooking. The cooking area can be tailored to your needs, enabling you to use a small area as traditional induction hobs with four or five separate zones, for boiling rice, for example, or you can choose to link the zones together to form one zone for larger cooking pans.